When Addison Mizner first announced his plan for “the foremost resort city on the North American continent” in 1925, he had great dreams for Boca Raton. He set out with a vision to make Boca Raton just as great as the rest of West Palm Beach. 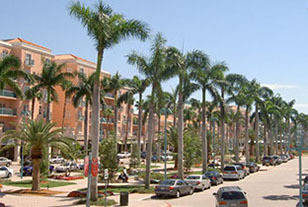 Being one of the wealthiest communities in South Florida, Boca Raton is home to Florida Atlantic University, Town Center Mall, Mizner Park, amongst many more popular destinations. As a resident or business owner of Boca Raton, it is vital that you find a moving company that is familiar with the Boca Raton area as well as has years of experience working with its customers. 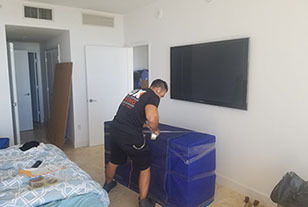 Lux Moving and Storage is your company for moving in Boca Raton, with years of experience working with both residents and businesses in the area, who better to trust your belongings with than a Florida native, family owned and operated moving company. If you are looking for a moving company to service you, whether it be residential, commercial, local or long distance, we get the job done! Boca Raton moving covers nearly 30 square miles. With 46 parks, two libraries, three public beaches, two golf courses, several tennis centers, miles of bicycle and pedestrian trails an outdoor amphitheater and special community events all year long, there’s no time to be bored in Boca. Being a mover in Boca Raton demands knowledge of all the routes, tolls and general areas. When talking to a customer, a moving company in Boca Raton should sound very familiar with the city they conduct business in. Being knowledgeable of the landmarks and areas, a mover in Boca Raton could secure a client just by being in the know. Servicing the Boca Raton area for 12 years now, Lux Moving and Storage have come to know all of the 30 square miles of Boca Raton. We have left lasting impressions on the toughest client critics. All over town we continue to go above and beyond customer expectations, making a standard practice out of our client’s satisfaction. Be one of many to have a truly great moving experience and reach out to us for your moving needs. Give us a call and see why Lux Moving and Storage is so highly recommended in the industry.